When you are in a business that has a customer or client base, it is essential to have a email list. You must do this as a online network marketer so that you can continue to build a Know, Like & Trust with your potential business partners and or customers. Most network marketers don’t consider how to build a email list as an important factor. The email marketing campaign is set up to do just that. The first component is often overlooked. It requires every marketer that desire to master email marketing to this know who they’re targeting. Then you will have to create a lead magnet that will offer a ethical bribe to exchange for a give-away. This is set up on a capture page or some call it a squeeze page. When connected to a autoresponder, it will automatically send out a email to your subscriber to give an offer that was promised in exchange of the email address. This process allows you to continue to add value to your target audience. After all they submitted an opt-in in order to get your solution oriented offer. Then a series of emails are continued to build the Know, Like & Trust factor in which makes the email marketing process so valuable and relevant for future relationships. You could eventually will inquire clients, customers and even business partners. 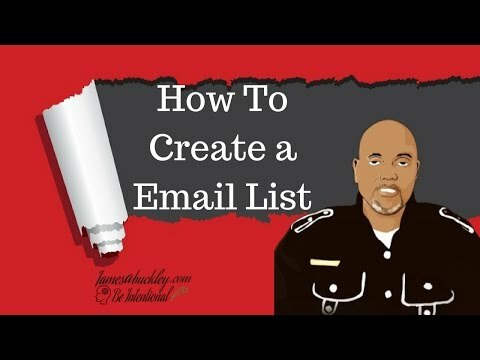 This is how to build a email list effectively. These are the tools & components that is needed for a effective email marketing campaign.